When you start an account in a bank, you will be linking your mobile number to your account. You can use this mobile number for mobile transactions as wells as receiving transaction alerts. Terror happens when a fraudster duplicates your SIM card. The duplicated SIM card will be sharing the mobile number which you had linked to your account. User can simply you the duplicate SIM to get access to your bank related data and other account details through Mobile Banking transactions. 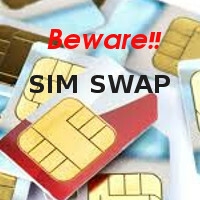 Save Yourself from a possible SIM-Swap! There are unique 20-digit IMEI numbers associated with each SIM you purchase. Never share that with anyone. Frauds can use this to make a duplicate SIM. Always subscribe for instant alerts through SMS and E-mail regards any activity or transactions happening on your bank account. If you are not receiving any alerts for long time, please contact your bank to know what is happening. If your mobile have no network coverage for a long period and are not receiving any calls or messages , then immediately contact with your mobile operator and inform them about the issue and for how long the issue is going on. Also check the activity on your account during that period. This may occurred due to activation of duplicate SIM by the fraudster and the transaction alerts are going to the mobile which has installed the duplicated SIM. Do not share any SMS alerts like One Time Password(OTP), Transactions related messages etc with anyone. Sometimes you will be receiving lots of calls from different numbers and from different place. Definitely you will get annoyed and may switch off your mobile phone. Please note that this could be planned process to make you turn off your phone so that you may not notice the transaction alerts regarding unauthorized activities happening on your account. Atleast once or twice in a week, check your bank statements and online banking transaction history, so that you can identify any issues that happened in your account. You should also read Things to know before you submit Your KYC documents to know the simple thing that you can do prevent the misuse of your Id proofs by a fraudster to get a duplicate SIM.